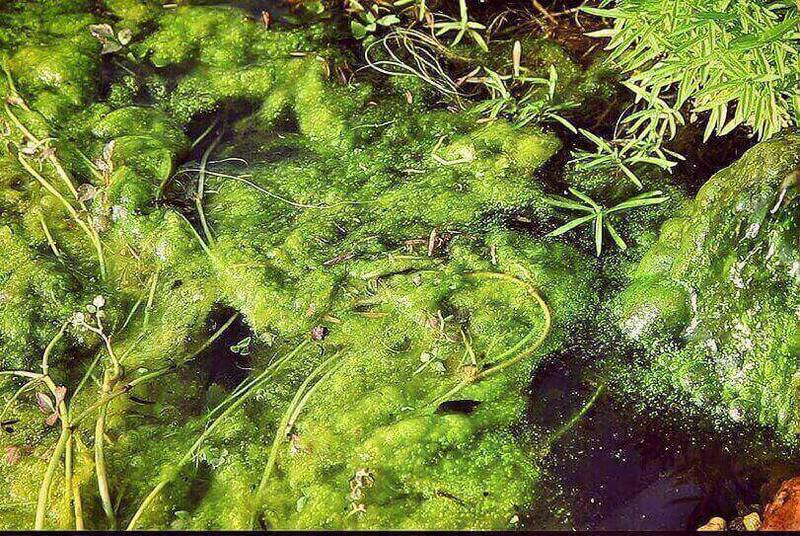 String algae thrive on the nutrients which are present in your pond. To prevent this you must eliminate the nutrients as much as possible. One way of doing this is by placing plants in the pond which will soak up the nutrients. Some species such as water lettuce reproduce rapidly, and when doing so will absorb any nutrients it comes into contact with. Other plants that can perform the same function include cattails or irises. An added benefit to these species is that they require very little maintenance. String algae, also known as blanket weed or water net, are a type of algae that can stay dormant for a long period of time. It will stay dry until it comes into contact with water, at which point it will begin to expand. This particular form of algae is challenging to deal with because when removed from the pond by hand this triggers it to place spores inside the water that initiates another lifecycle. String algae creates a considerable amount of oxygen which is dissolved which causes bubbles that results in a mat of the unsightly substance floating to the surface to ruin the beauty of your pond. Why Does String Algae Appear? String algae are caused by sunlight and high temperature. It typically appears during spring and summer, and is a common occurrence in ponds or water gardens. Many pond owners dread it as it turns the water green and if left uncheck will make the pond resemble a swamp. However, an unattractive looking pond is only the beginning of the problem. The presence of string algae also corresponds with an increase in parasites which can cause disease in the fish. During the transition from winter to spring a fish’s immune system won’t as strong which will leave them vulnerable to illness and any fish wastes or dead plants present in the pond will fuel algae growth further. When you consider the cost, energy and time that are put into designing water gardens and ponds, this is not something that you can allow to happen. In addition to adding plants to your pond or water garden which absorb the nutrients which cause string algae to appear, there are additional steps you can take. If you have fish in your pond, particularly koi, they love to feed whenever they’re not full. If you feed them a bit less than usual, they will supplement their diet by feeding on the string algae themselves. Additionally, overfeeding koi often causes excessive nutrients to appear in the pond which is another good reason to let them consume the string algae as an alternative. Another simple option is weeding. With this method you will grab hold of the largest pieces of string algae by the base with your hands, then pull them up and throw them into a bucket. It can be quite a bit of work, but maintaining a pond isn’t a task for the lazy. If you want it to remain beautiful and vibrant you must get your hands dirty every now and then or hire someone who will.